The Connecticut General Assembly is considering a bill that would make medical malpractice lawsuits easier to file, although amended language from the Senate reduces the expected impact of a previous version. The amended version of Senate Bill 243 passed with only three votes against it in the 36-member Senate. The bill would change what kind of expert testimony is needed to file a medical malpractice lawsuit. 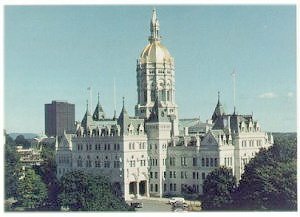 “We are withdrawing our opposition after the Senate amendment,” said Eric George, associate counsel for the Connecticut Business & Industry Association. “I fully expect more lawsuits,” George said, but the amended legislation would allow fewer new lawsuits than the original bill. The Pacific Research Institute’s 2010 Tort Liability Index ranked Connecticut 42nd for tort costs and outcomes and 29th for the policies it has in place. More lawsuits equals higher malpractice insurance premiums for doctors meaning higher fees for you and me. I say if it is somehow deemed necessary to facilitate more business for the legal industry that will most certainly find its way into what we all pay for fees and health insurance premiums ourselves, then let there be a provision where, if it is found that a lawsuit is frivolous, a judgement be automatically rendered holding the party or parties instigating it liable for all costs that the defendant incurs as a result of the action… INCLUDING lost income resulting from time spent away from a career because of court dates, etc.